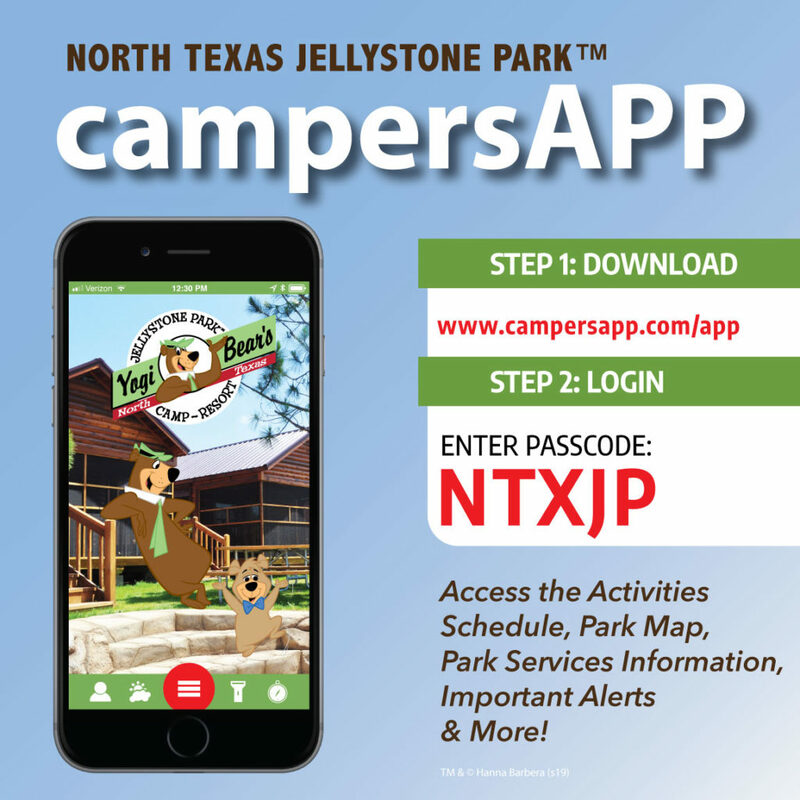 From educational conferences and summer camps to youth group trips and religious retreats, North Texas Jellystone Park™ is ready to host them all. Our event coordinators work with all kinds of group sizes and are flexible with preparing the right accommodations, facility needs, catering plans and fun activity ideas in order to make sure that everyone involved has a great experience and gets all that they can out of their time here. From luxury cabins to tent sites near meadows, streams and a pond, we have a varied selection to give you the right balance between relaxation and adventure. With 3 excellent meeting facilities, we have a place for everyone to gather as a group for educational courses, meet-ups, teaching times and services. Nestled in Burleson, Texas (20 minutes south of Downtown Fort Worth and 50 minutes southwest of Downtown Dallas), our resort is a short drive away yet is able to offer an escape full of natural beauty.